If you decided to spend some time fishing you need to know that this kind of hobby requires for you to have a fishing license. Every member of your group that goes fishing should have their own fishing license. On the market, there are many stores that offer you this type of license, to help you enjoy your fishing experience without any kind of problem that could interrupt it. Walmart is one of the most popular stores that offer you fishing license that will solve your fishing issues. The main question is how much does Walmart fishing license cost? What do you need to know before you purchase this license? In the past, people didn’t need any kind of special license to go fishing. They just took their bats and poles to any near waters and that was it. Nowadays is different when it comes to fishing and permits that allow you to do that. With the increasing population, the wildlife population has highly decreased. For that reason, many states in U.S decided to require permits for visitors that want to go fishing. And now, the continued increasing populations made the same states to require the same fishing licenses for their own residents. The licenses that are required to go fishing proved themselves as highly valuable and effective when it comes to protecting the population of fish. The fishing licenses give limits that apply to fish species, how many of them the fisherman can catch in one day, and seasons suitable for fishing, depending on researches made beforehand. Catching fish without permits or out of the required limits is punishable by law. Before purchasing your fishing license, try and search for the most affordable and easy to obtain licenses the stores offer you. 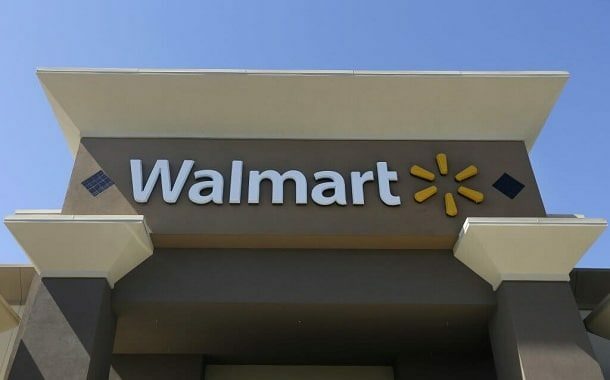 Many people choose Walmart as their main option because is very quick and easy to purchase your license there. Before purchasing your fishing license in Walmart, you need to know and decide where do you want to fish, because the required license only allows you to fish in specific areas as rivers, ocean, or dams. If you have no ideas of places that you want to go fishing at, you can always purchase a more expensive license that allows you to fish anywhere in your state home. If you go fishing as a group of friends or as a family, every member should have their own license. Many states will offer you group discount for more than one person that wants to purchase this type of license. The main thing you need to know before even thinking about purchasing a fishing license is that you need to be at least 16 years old. First, for getting a fishing license in Walmart, you need to provide this store with information about your home address and identification. You can use an ID as driver’s license, military or student identification card, or utility bill. Even if you only want to know how much the Walmart’s fishing license costs, you still need to provide information about yourself. The Walmart’s workers can offer you help when it comes to deciding what type of fishing license you need and the options you have. When you figure out these aspects, you can know the specific price for your fishing license. Various factors can affect the price of the fishing license you can purchase in Walmart. Depending on your age, your status as a resident or visitor, the time you want to spend fishing or even restoring your existing license because of some troubles you had, you can pay different prices for your fishing license in Walmart. The price for residents to get a fishing license in their home state is about $19. This price is only for residents that are at least 16 years old and for residents that are not older than 65 years. For residents that are 66 years old or older than 66, the price is only $10. For residents and visitors that need to purchase a fishing license for one-day fishing, the price of the license is $11. If visitors want to purchase an annual fishing license, the price in Walmart is $40. Walmart’s fishing license for tourists that want to purchase a permit for 3 days of fishing, has a price of $19. What will affect your Walmart’s fishing license cost? The price for purchasing a fishing license is variable, depending on the state for which you need the license. Depending on the regulations and requirements of different states, in some of them, you can’t own a fishing license if you already own a hunting license. Depending on the time you want to spend fishing, you must choose fishing licenses that last long enough. You can choose a permit that lasts only 24 hours, a permit that lasts 5 days or an annual permit, the best choice for people that spend a lot of time in the year fishing. Also, some states offer to decrease the cost of the fishing license for people that have any kind of disability or people that are over a certain age. Permits are only possible to purchase for people at the age of 16 or older; however, kids under the age of 16 can still go fishing only if they are accompanied by an adult that has the fishing license. Should the average working Joe get a fishing license from Walmart? Purchasing your license in Walmart is highly easy to accomplish, quick, and certainly affordable. Many people say that they got their fishing license in Walmart for about $17 and that for an annual license. For exact information about your fishing license cost, you should for sure visit Walmart in your state because the price varies in different states. https://www.thepricer.org/wp-content/uploads/2017/08/Walmart-fishing-license-cost.jpg 380 610 qSign http://www.thepricer.org/wp-content/uploads/2016/11/pricerlogonew.png qSign2017-08-09 23:50:442017-08-09 23:50:44How Much Does a Walmart Fishing License Cost? Since we fish in Oregon State whenever we’re there, and plan to visit now more frequently…tho’ our “home” state is Idaho, is there any break for Seniors (over 70) or Veterans who visit there annually? How Much Does It Cost To Pebble Tec A Pool? How Much Does Window Tinting Cost?